A recent article in Psychiatric Times summarized findings about the relationship between smoking and mental health. Having just helped two clients through the arduous process of quitting using CPT in conjunction with Chantix and Zyban I can attest to just have difficult the process can be but also how rewarding ultimately. Here is a summary of the findings outlined in the article. They correspond to my experiences with clients. Smoking rates in individuals with mental health disorders are much higher than in the general population. Persons with mental health disorders have a life expectancy 8 years shorter than the general population, and recent evidence suggests that much of this difference could be because of smoking. 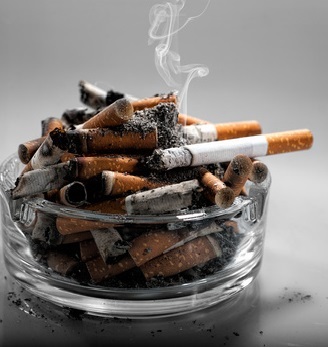 Psychiatric patients are just as motivated to stop smoking as other smokers and they, too, can successfully quit.Sadly however helping patients stop smoking is too often at the forefront of practitioners’ minds during their consultations. Some clinicians evidently feel that helping client quit smoking would be taking away one of their patients’ pleasures in life and that cessation may cause harm to their psychological state. The researchers conducted a systematic review and meta-analysis of longitudinal studies and found 26 studies found that smoking cessation is associated with significant improvements in symptoms of depression and anxiety and significant increases in positive affect and psychological quality of life. Since this study were observational and therefore cannot prove causality, one might argue that it is an improvement in mental health that causes people to stop smoking. Authors of the study argued against this hypothesis though because whatever happened with these participants’ mental health occurred after they stopped smoking. It has been found that the neurological functioning of quitters returns to the same level as that of non-smokers at 3 weeks after cessation. This is consistent with reports that psychological withdrawal symptoms subside after a few weeks.It is possible smokers assume that because smoking alleviates withdrawal feelings, smoking a cigarette improves their mental health when in fact it was smoking that caused these problems. I, too, have found that many patients report smoking helps them with their stress and negative psychological symptoms; but smoking can actually worsen some of these very symptoms. So while it may be common to think one should postpone addressing smoking until after mental health has improved, ongoing psychological problems can actually be helped by stopping. 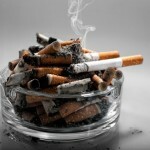 So, the article asks, when is the right time to quit? For many of my smoking clients the right time came after a frightening hospital stay where they realized the smoking was threatening their lives. But we needn’t wait that long. Smoking can be considered is a treatable chronic illness and evidence now suggests, no harm has been found from quitting while you are dealing with other psychological issues like anxiety, depression and so forth . Rather, the evidence suggests cessation can be therapeutic regardless of other mental health difficulties one faces.